The Bondard Law Firm works hand in hand with very small, small or medium-sized businesses throughout their project and at every step of the way. We have built solid know-how in business law to help our clients in their development strategy, both in France and internationally. carrying out any legal formality. negotiating and drafting contracts for the assignments of shares. drafting business, licensing, distribution and franchise agreements as well as terms and conditions. Bondard Law Firm determines with you the legal structures which ensure the security of your operations during creations, mergers, assignments, acquisitions or restructuring. We assist both startups and established companies during their rapid growth phases. 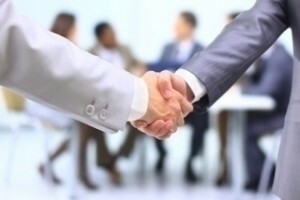 The drafting and negotiation of your commercial contracts, i.e. general conditions of use, general purchase conditions, conditions of manufacturing, distribution, licenses, partnerships, assignments, etc. relations with the CNIL (French administrative regulatory body whose mission is to ensure that data privacy laws and regulation are respected). We handle all of your intellectual property and contracts litigations before French civil, commercial and penal courts, including unfair competition lawsuits, patent, trademark, design, and copyright infringement lawsuits. 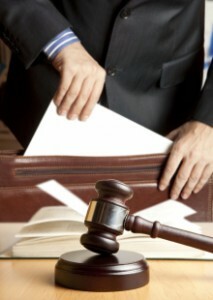 We assist you throughout judicial proceedings and/or alternative methods of settling disputes, mediation or conciliation. Thanks to our close network of fellow attorneys, each selected for their particular skills, we are also able to coordinate cross-border litigations. Additionally, we represent our clients before arbitration proceedings and in mediation procedures. We also manage the production of documents for our international clients, including in the context of subpoenas, from the negotiation of search terms to the production of electronic and paper documents. The Bondard Law Firm provides key support to entrepreneurs and startups so that you may start your company quickly and efficiently. First contracts: confidentiality agreements, general terms and conditions of sale, general terms and conditions of use, etc. Raising funds: legal assistance, amending shareholders’ agreement, capital increase, etc. Tailor-made contracts: partnership agreements, service agreements, licensing, assignments, contracts for the creation of your Internet site, consortium agreements, etc. Internet sites: Audit of the legal requirements of your website, risk analysis (personal data, international trade), formalities with the CNIL, (French administrative regulatory body whose mission is to ensure that data privacy laws and regulation are respected). R&D: evaluations, audits, licenses, takeover or sale of the company. Litigation : the firm handles your business litigations. In partnership with EXPEN, a firm specialized in auditing and counseling companies and entrepreneurs. Public subsidies, fundraising, loans, accountancy and reporting. Feasibility analysis, presentation literature, evaluation, record keeping, VAT, corporate tax, reporting.